Of late, the Guthrie Theater has had a tradition of producing a classic crowd-pleasing musical every summer (most recently: South Pacific, The Music Man, and My Fair Lady). But inexplicably, they have never produced a musical by the great Stephen Sondheim on the main stage. Perhaps it's because Sondheim is not easy, to do or to watch; not as readily familiar and accessible as the classics of the '50s. But Sondheim is the Shakespeare of musicals, and it's about time the Guthrie remedied this gross oversight. 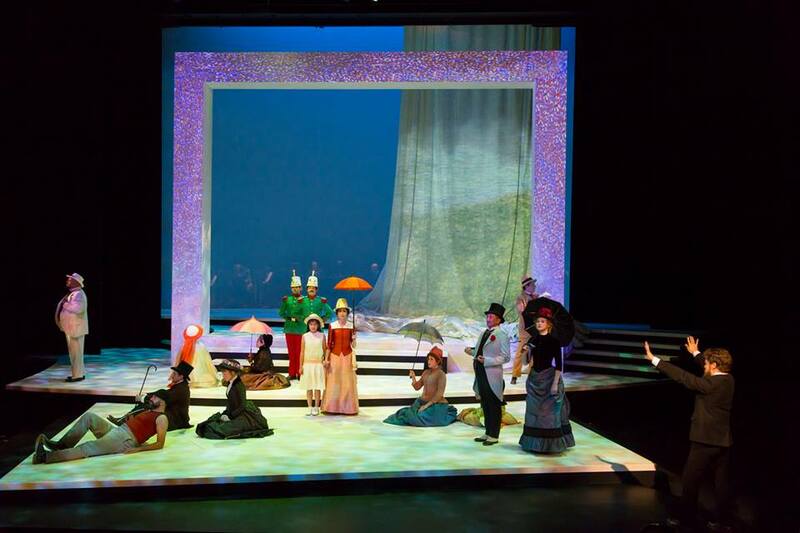 They do so in splendid fashion this summer with their stunning production of what is perhaps the musical theater master's greatest masterpiece, Sunday in the Park with George, directed masterfully by Artistic Director Joseph Haj. 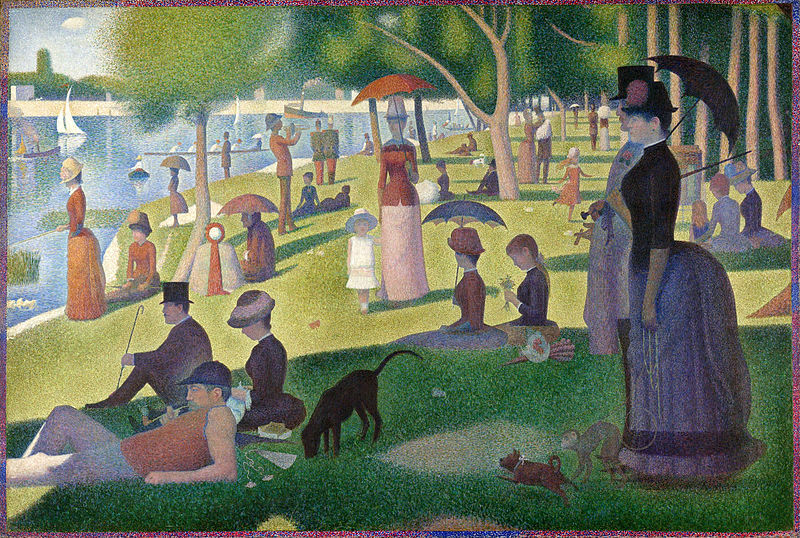 Sondheim and frequent collaborate James Lapine first joined forces on this piece that won them a Pulitzer Prize, getting their inspiration from the 19th century painting "A Sunday Afternoon on the Island of La Grande Jatte" by Georges Seurat, one of the leaders of the Impressionist movement. Artists being inspired by the work of another artist who lived a century earlier to create art about art. 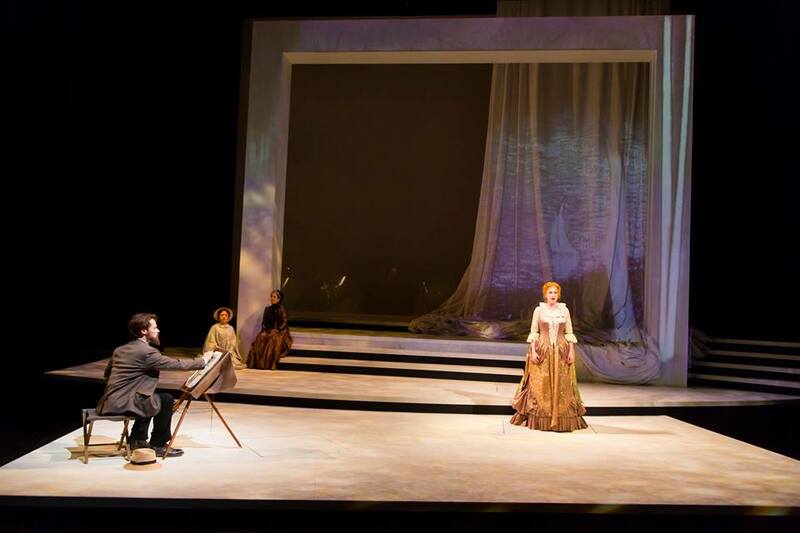 It's pretty meta, and no surprise that it's a favorite among musical theater artists. The Guthrie has assembled a sparkling cast and created a gorgeous design that brings this work of art about art itself to brilliant life. 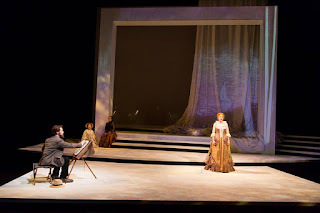 My first experience with Sunday in the Park was the beautiful production at Artistry (née Bloomington Civic Theatre) almost five years ago. I remember enjoying it, particularly the first act, but for whatever reason it didn't grab me enough to add the OBC recording (featuring two of my faves Mandy Patinkin and Bernadette Peters, more on her later) to my music library. I decided to give it a listen a few weeks ago in anticipation of this production, and instantly fell in love with the score. The music is at times so beautiful it makes my heart hurt, while at other times it's as witty and clever as Sondheim can be. I've found that like Shakespeare, Sondheim gets better with repeated viewings/listenings; the beauty and intelligence of it becoming more clear as you get more familiar with it. The second act takes place in a museum 100 years later, where the figures jump out of the painting, and we meet George's great-grandson, also named George, also an artist. The story delves into the nature of art, artists, and commercialism vs. staying true to one's art. Things take a satisfying turn at the end when young George returns to the island in the painting and is able to achieve some resolution for his great-grandfather, who died young. * The first time I saw it, I found the second act to be a bit jarring, weird, and modern. But now I see it as a nice companion piece to the story in the first act, with similar themes, and several full circle moments. Last year's orchestra for South Pacific felt a little skimpy (possibly because I first heard it played by a 30-piece orchestra at Lincoln Center), but not so here. The 13-piece orchestra led by New York-based music director/conductor/pianist Mark Hartman sounds luscious and is happily placed at the back of the stage behind a scrim, frequently in full or partial view. After the show I didn't want to leave the theater until the last note had rung out. Christopher Windom's choreography is less about dancing and more about moving the pieces from the painting around the stage in an thoughtful way, and creating interesting tableaux for the performers to hold during some of the songs. About two-thirds of this dreamy 16-person cast is local, and while the two leads are not (as is common in the Guthrie's summer musicals), both have appeared at the Guthrie before, so I'm willing to consider them honorary Minnesota actors. 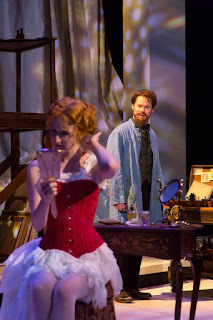 Erin Mackey returns after her delightful performance as Nellie Forbush last summer, and is perhaps even better and more perfectly cast as Dot. Strong, funny, vulnerable, sympathetic, and with gorgeous pipes, she's the true star of the show. Randy Harrison (last seen in The Glass Menagerie ten years ago) has some truly lovely moments as George, and really opens up in the second act when he's not stuck behind a fake beard (I know it's a requirement of the show, but fake beards are the worst, no?!). The ensemble is chock-full of local talent, and one of the great things about Sondheim is that each character has their moment (or two) to shine. Highlights include two local faves making their Guthrie debuts - the always lovely Britta Ollmann and the always entertaining Max Wojtanowicz ("everybody loves Louis" and everybody loves Max); Ann Michels as a deliciously vicious artist's wife in the first act and Jane Fonda lookalike in the second act; Emily Gunyou Halaas, wonderful in - count 'em - three roles; Sasha Andreev, stealing scenes at the stuffy German servant Franz; the great T. Mychael Rambo in what I wish were a larger role(s); the hilarious Christian Bardin (pro tip: keep your eyes on her) and Cat Brindisi (adding her gorgeous vocals to the harmonies) as the silly Celestes, whose flirting with the soldiers is made even more charming when you know that one of them is Cat's uber-talented husband David Darrow (see the feature in the playbill). 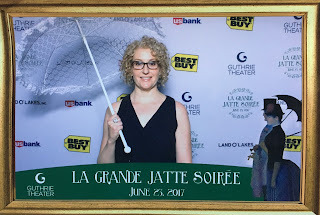 As if all of this weren't wonderful enough, I was lucky enough to attend the opening night gala, called "La Grand Jatte Soirée." Well, not so much luck, as being willing to shell out $125 (half what I paid to see Hamilton) for the fundraising event (top tier tickets went for ten times that). 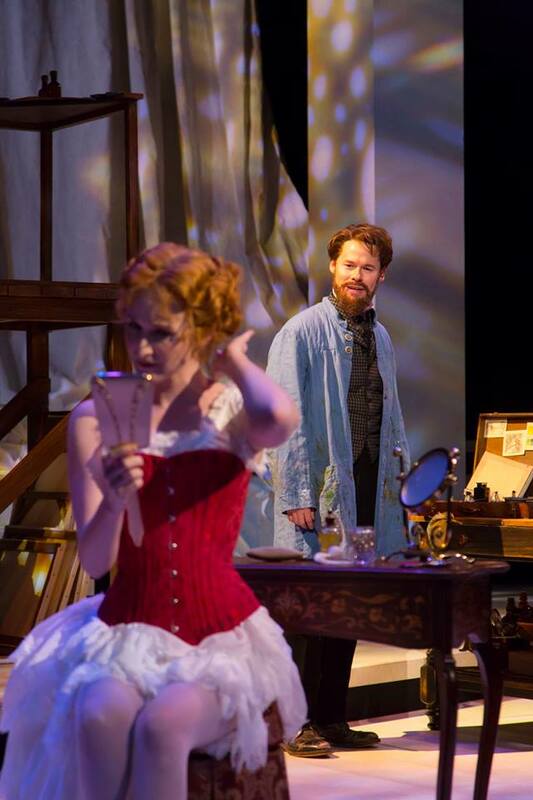 Guest were greeted by friendly people in period costumes, and the Guthrie was all decked out. 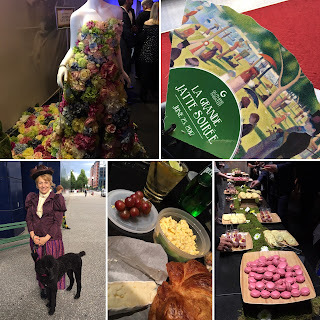 The evening began with a pre-show concert by Sunday in the Park's original Dot, the divide Bernadette Peters. If you saw her at the Ordway two years ago, it was basically a subset of that concert, complete with some of the same schtick. Bernadette is one of, if not the, best musical theater performer on the planet, and is simply a joy to witness (highlights include "Nothing Like a Dame," "No One is Alone," "Losing My Mind," and "Being Alive"). After Bernadette left the audience breathless and on their feet, a live auction raised tens (or even hundreds) of thousands of dollars that the Guthrie will put towards their school and education programs, a very worthy cause. 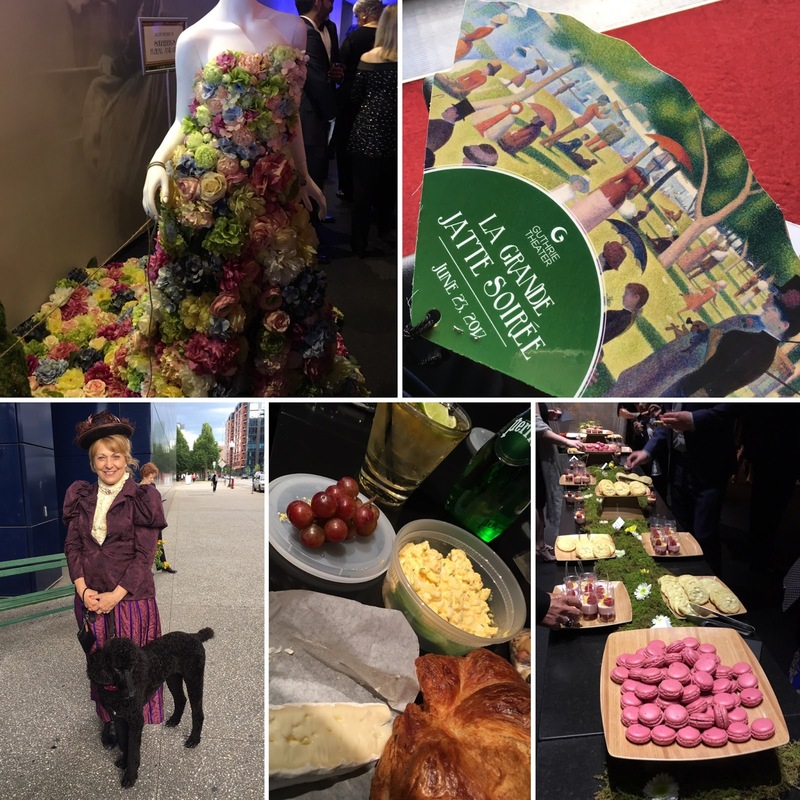 A quick and delicious dinner followed, and then the call was places for Sunday in the Park with George! But not really, because the show was held for over a half hour while the top-tier ticket holders finished their gourmet dinner, with no announcement to those of us waiting patiently in our seats. But it was worth the wait, although the late end time (11:30) meant this morning person did not make it to the after party in the Dowling Studio. 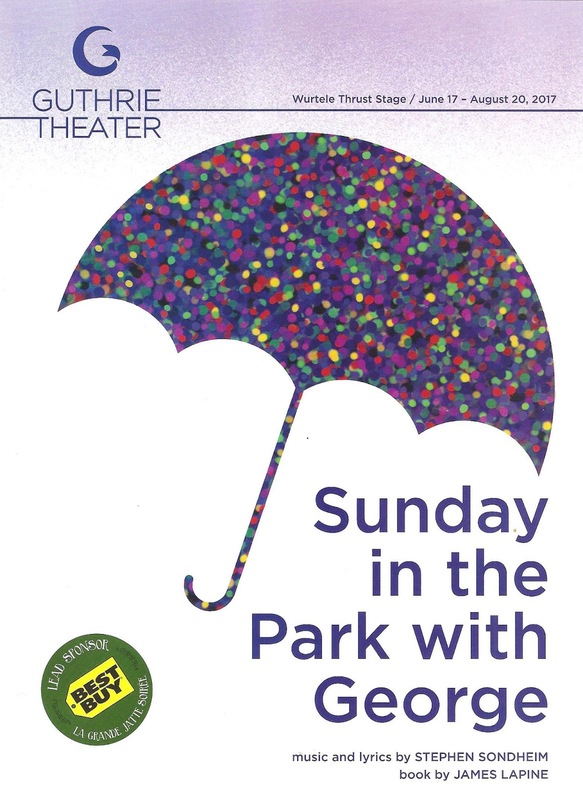 Sunday in the Park with George continues on the Guthrie Theater's thrust stage through August 20. If you're a Sondheim fan, this stunning production of one of his best creations is a must-see. And if you're not as familiar with Sondheim and typically prefer the musical theater classics from the '50s that the Guthrie has lately done as their summer musical, I encourage you to give Sunday in the Park a try. It may take a little more effort, a little more listening, a little more openness to new sounds, but I guarantee that when you hear that soaring "Ordinary Sunday," it is anything but ordinary. *Some text borrowed from what I wrote about the 2012 production at Artistry.